Although Seyfert galaxies are named after American astronomer Carl Seyfert, the first example of one was discovered by Edward Fath and Vesto Slipher as long ago as 1908. They thought it was a spiral nebula and part of the Milky Way Galaxy. 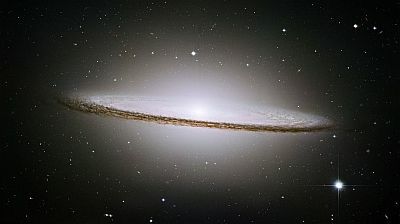 Several years later, Edwin Hubble took a look at it and stated that it was an object outside of the galaxy. It was only in 1943 that Carl Seyfert identified it, along with a number of other celestial objects, as a galaxy with unusual characteristics and the classification that took his name was born. 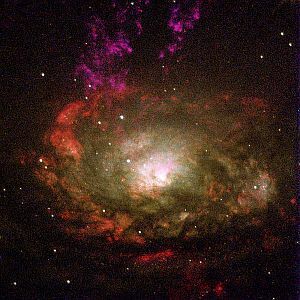 Today, we know that Seyfert galaxies are one of the largest groups of active galaxies in the Universe, comprising some 10% of all known galaxies. When viewed in normal light, they look quite ordinary, but when all other wavelengths are taken into consideration, they display an extremely high luminosity, comparable in intensity to the entire Milky Way. These galaxies, whilst broadly resembling each other, can still have slightly varying characteristics and, therefore, have been classified into two main types. Type I Seyferts contain active galactic nuclei that, whilst being viewable in visible light, also display very high luminosity in the ultraviolet and X-ray spectra. All Seyfert galaxies display emission lines within their spectra and the Type I has two sets of lines - one narrow, the other broad. The broad lines are thought to originate from the "accretion disc", which is the material surrounding and falling into the central black hole. The narrow ones appear further out from the centre. Both are generated by ionized gases and can be travelling between 310 and 2490 miles per second. Again, this type of Seyfert has a core of visible light, but, this time, the other powerful wavelengths given off are found within the infrared spectrum. Like the Type I Seyferts, these display emission lines (albeit slightly different), but the main physical thing that distinguishes them from Type I is the presence of a torus (or doughnut shape) of obscuring dust further out from the accretion disc. Some galaxies have been observed to show characteristics of both Types I and II, of varying degrees. Thus, in 1981, American astronomer Donald Osterbrok introduced a number of subdivisions to reflect this. The resultant categories were termed Seyferts 1.2, 1.5, 1.8 and 1.9. They are based on the comparable strengths of the broad and narrow emission lines. The larger the second number, the weaker the broad lines, compared to the narrow. This acronym stands for Low Ionization Narrow-line Emission Radio galaxy. These types have powerful emission lines from gas with low or no ionization and weak emissions from strongly ionized gas. The reason they're not actually called Seyfert galaxies is that the area from where the emissions originate is far less dense. These are Narrow Line Seyfert I galaxies. As the name suggests, their emission lines are much narrower than classic Type I Seyferts. It has also been observed that the accretion disc is being swallowed up at a very high rate, suggesting that the centre contains a small black hole in the early stages of formation. 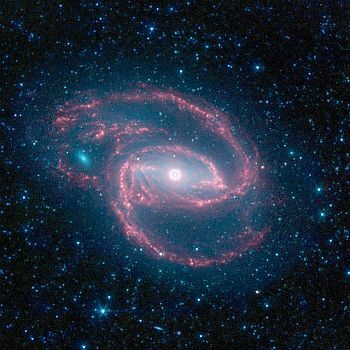 This would mean that the NLSy1s are galaxies only in the first evolutionary stage and, as such, are of much interest to astronomers.